3/5/19 UPDATE: The Sheraton Hotel is SOLD OUT. We have arranged for another block of rooms at the Courtyard by Marriott, about a block from the Sheraton. To book a room at the Courtyard, click here. They are honoring the same $132 rate per night we had for the Sheraton. The deadline for the EPA group rate is March 15, 2019 at 5 p.m. (CDT). After March 15, rooms will be subject to availability at the prevailing rate. If you have any trouble making a reservation online, call Group Sales at the Courtyard at (405) 232-2290. If you have any difficulty making reservations, please call the EPA office at 1-888-311-1731 or email director@evangelicalpress.com. To get the EPA group rate, hotel reservations must be made only through this website or by calling the Courtyard directly at (405) 232-2290. Do not book through any third party claiming to represent EPA. EPA has negotiated a discounted daily parking rate of $6 at the Sheraton. The hotel is 11 miles from the Will Rogers World Airport (OKC). There are many forms of transportation from the airport to the hotel including taxis, Uber, Lyft, shuttles, and vans. Click here to find the transportation you want and where to find it. • Airport Express Shuttle — The estimated one way fee to the hotel is $28; reservation required. • Taxis — The estimated taxi one-way fare to the hotel is $25. The Amtrak Station is a 6 minute walk from the hotel. Want to arrive early or stay longer? 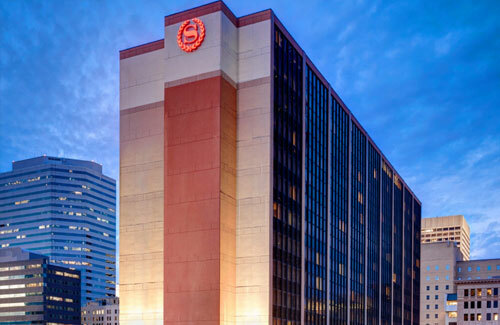 Book your hotel room up to three days before or three days after EPA 2019 Oklahoma City at the convention rate. The EPA group rate is available from now through to March 15, 2019. 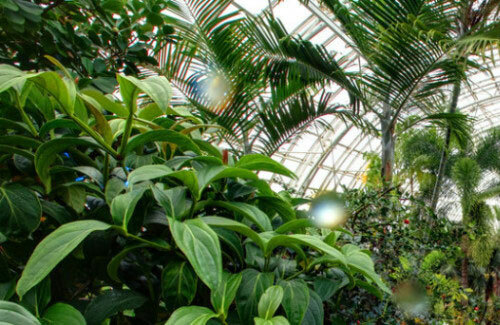 EPA has negotiated discounted group tickets to the Crystal Bridge Tropical Conservatory and the Oklahoma City National Memorial and Museum. For more info, click here. 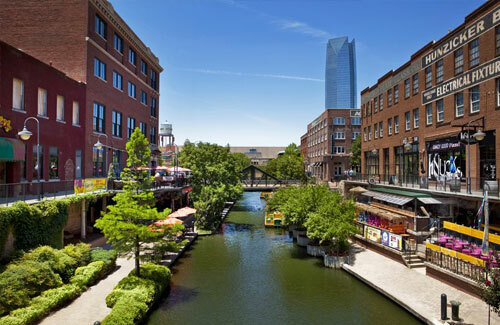 Sheraton Oklahoma City Downtown Hotel is located within a five- to ten-minute walk of the Bricktown Entertainment District, where there are more than 30 restaurants, canal rides, and a variety of entertainment. The famed Adventure District is a short 15-minute drive and features many attractions and museums. Across the street from the hotel are the beautiful Myriad Botanical Gardens, with outdoor water features and walking trails. The brand new OKC Streetcar links downtown with the Bricktown Entertainment District, the Business District, and Automobile Alley. Convenient stations are just a few minutes walk from the hotel. $1 per boarding or $3 for a Day Pass. 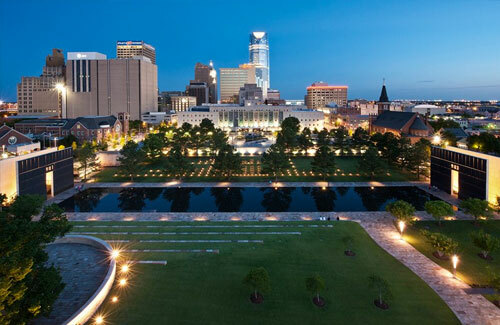 Just a short walk from the EPA convention hotel is a former warehouse district filled with more than 45 restaurants and retail shops, along with family-friendly attractions, public art, museums, galleries, and even an urban beach for summer fun. 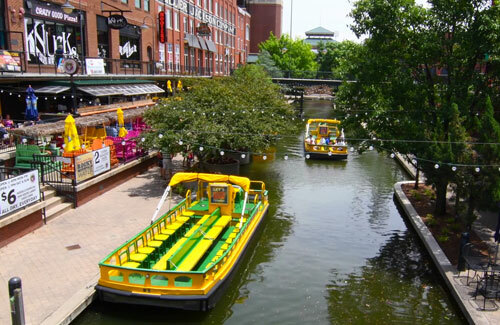 Take a seat and enjoy the sites of OKC’s Entertainment District on the Bricktown Water Taxi. Once on board a water taxi, you’ll be entertained as you learn all about the city’s unique history and recent renaissance. Boats run continuously every 10-15 minutes and tickets are all-day passes. 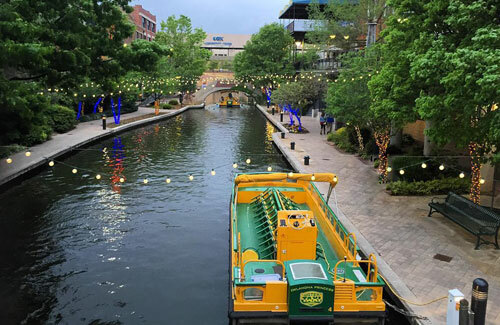 You can ride round trip, which takes approximately 40 minutes, or you can board and exit at any of the docking locations along the canal to get you through Bricktown and to the Boathouse District. RIVERSPORT Adventures in the downtown OKC’s Boathouse District is the “go to” place for metro area families and visitors looking for outdoor fun including whitewater rafting and kayaking, adventure courses, zip lines, rock walls, cycling, high speed slides, bicycle pump tracks, flatwater kayaking and stand up paddle boarding. 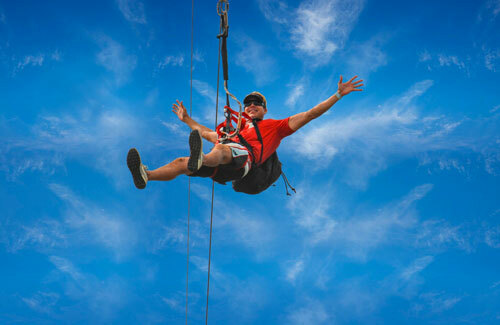 You can also zip across the Oklahoma River and back along the Sandridge Sky Zip, a 700-foot zip line. 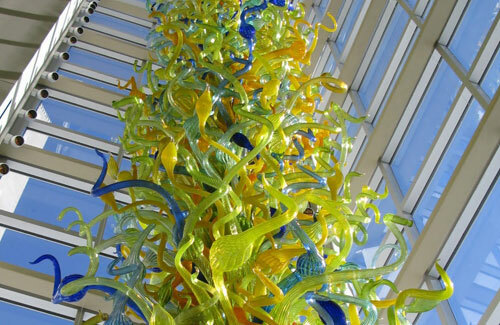 The Oklahoma City Museum of Art is home to one of the most comprehensive collections of Dale Chihuly glass sculptures in the world, including the 55-foot Eleanor Blake Kirkpatrick Memorial Tower in the atrium of the museum. More works can be seen in the permanent exhibit, which is full of colorful glass and drawings. Chihuly is widely heralded as the most important artist working in glass since Louis Comfort Tiffany, and the museum’s collection represents more than three decades of his finest work. Even if pickin’ and grinnin’ isn’t your thing, seeing the beauty of these instruments and learning their uniquely American history is worth the stop. 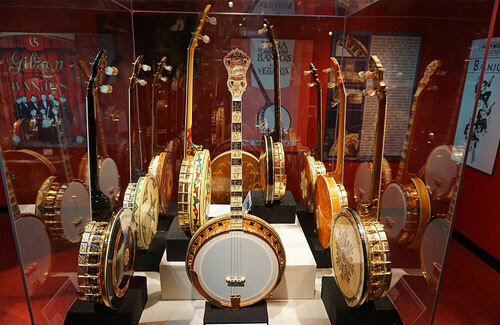 See over 300 banjos on display, as well as interpretive exhibits that tell the story of the banjo from its humble roots in American slavery to its modern-day roles in bluegrass, folk and world music. 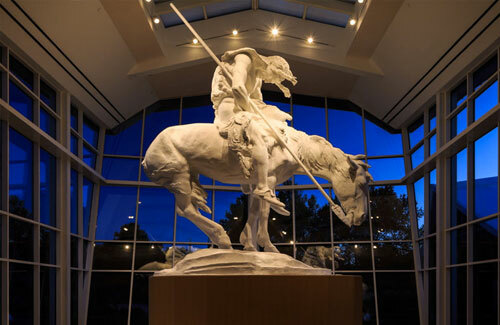 The National Cowboy & Western Heritage Museum preserves and embodies the histories and cultures of the American West, part of the nation’s identity and heritage. 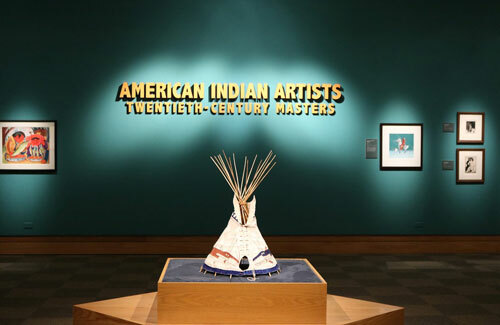 Explore the vast, diverse history and artistry of the American West through fine art and artifacts, educational classes and demonstrations. The National Cowboy & Western Heritage Museum is offering a special exhibition through May 12, 2019. This exhibition highlights this depth and the 20th century American masters who shaped it. Explore early artists such as the Kiowa Six, Tonita Peña, Harrison Begay and the institutions that influenced them. The Oklahoma Railway Museum also collects, conserves and interprets artifacts and structures that reflect the heritage of Oklahoma’s railroad and street rail transportation in the 19th and 20th centuries. The museum is open every Thursday, Friday, & Saturday 9 am to 5 pm. Admission to the museum is free. 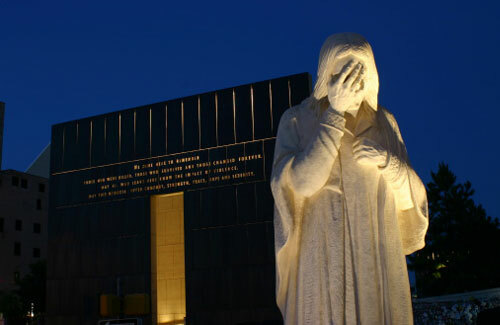 The 45th Infantry Division Museum features wide-ranging collections covering from the Revolutionary War era to today’s Oklahomans and their current involvement in the War on Terror. Highlights include one of the finest collections of American military weapons and original drawings by Pulitzer Prize-winning cartoonist Bill Mauldin whose characters, Willie and Joe, chronicled the lives of infantrymen in World War II. 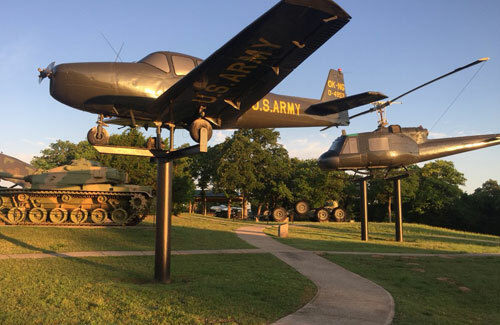 The 45th Division Museum’s 15-acre park features tanks, artillery, personnel carriers, aircraft, and the Thunderbird Monument. This tribute is to soldiers who served in World War II and Korea, as well as those who continue to serve in Oklahoma’s National Guard. 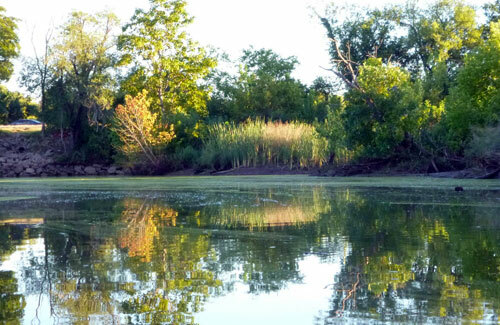 Get closer to nature at the Stinchcomb Wildlife Refuge at the north end of Lake Overholser. It is a pristine area of 1,000 acres that has remained unchanged since before statehood. Hiking the area will put you in close contact with whitetail deer, beaver and egrets and beautiful views of lakes, bottomland forest and marshlands. Adventurers also can fish or rent kayaks and canoes and explore the North Canadian River/Oklahoma River through the refuge.